Narmadha Travels and Kollywood Movies USA have acquired theatrical distribution rights (Tamil/Telugu) for the highly anticipated Thalapathy Vijay’s movie SARKAR for an astonishing price. 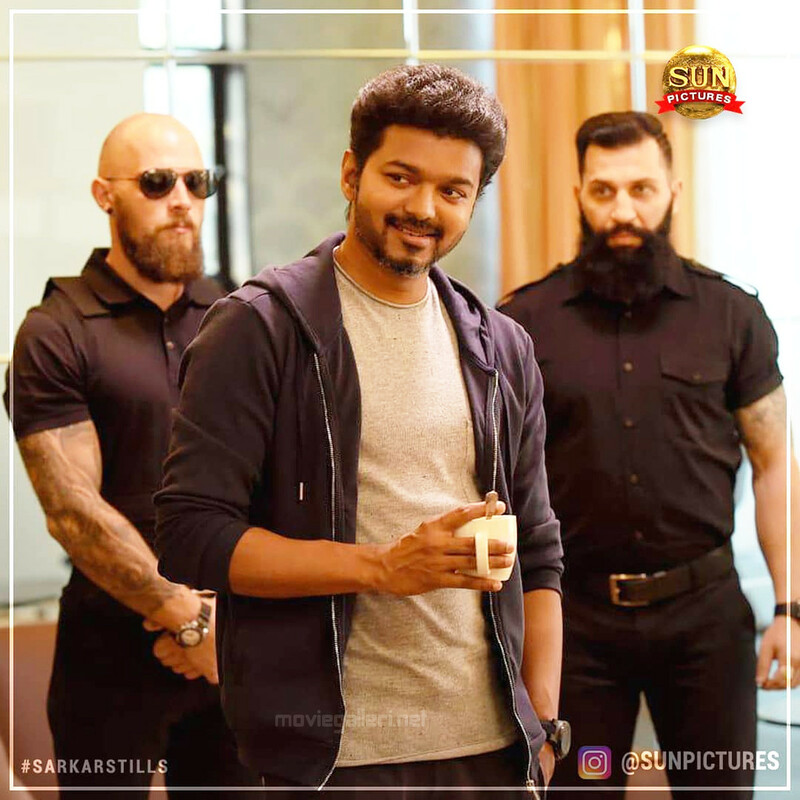 SARKAR, produced by SUN pictures, is one of the most expensive Tamil films till date. Portions of SARKAR were filmed in vital exotic locations like Las Vegas in the US. After super successful movies Thuppaki and Kathi, A.R Murugadoss joins hands with Thalapathy Vijay for a hattrick blockbuster. Oscar award-winning composer A.R. Rahman songs for SARKAR are already blockbuster hits and topping the charts. SARKAR has generated huge expectations due to the various promotions from SUN Pictures, and Vijay being the heartthrob of Tamil movie goers and kids favorite entertainer. Thalapathy Vijay looks handsome, sharp and dashing. 2018 Diwali is undoubtedly going to be a gala treat for all the Tamil movie lovers and Thalapathy fans in the USA. We are proud to be a part of this celebration! SARKAR “SARA VEDI” countdown starts with Premier all over the US on Monday, Nov 5th!